Smoothies are a healthy and delicious way to get your fruits, vegetables and other important nutrients into your body. Whether smoothies serve as your breakfast or simply a snack between meals, blending up a smoothie is simple, easy, yummy and good for you. Here are three tasty and healthy smoothies to make at home! Green smoothies sometimes may look frightening; however, they can taste delicious with the right ingredients and get you the vegetable intake you need. This is a basic green smoothie recipe that can be customized in many ways and is perfect to combine healthy and tasty into one delicious blend of goodness. Place all ingredients into the blender and blend until smooth. Start with ½ cup of milk and then increase, depending on how you prefer the consistency of your smoothie. **All fruit can be customizable. Add whatever variations of fruit you prefer, just make sure they are frozen. 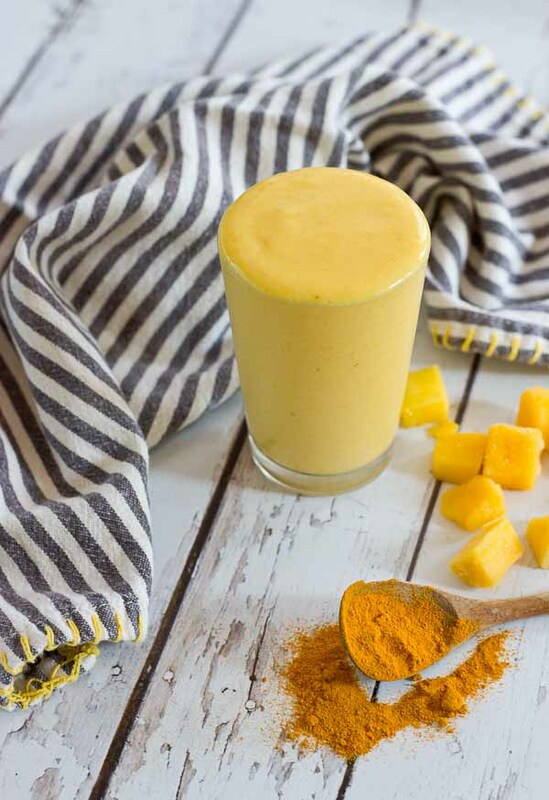 This smoothie has the delicious taste of peach and mango, but with the addition of healthy anti-inflammatory spices like turmeric and ginger. This combination results in a healthy yet tasty mix of ingredients to form the perfect smoothie. Add ice based on temperature preference or use a frozen banana instead. 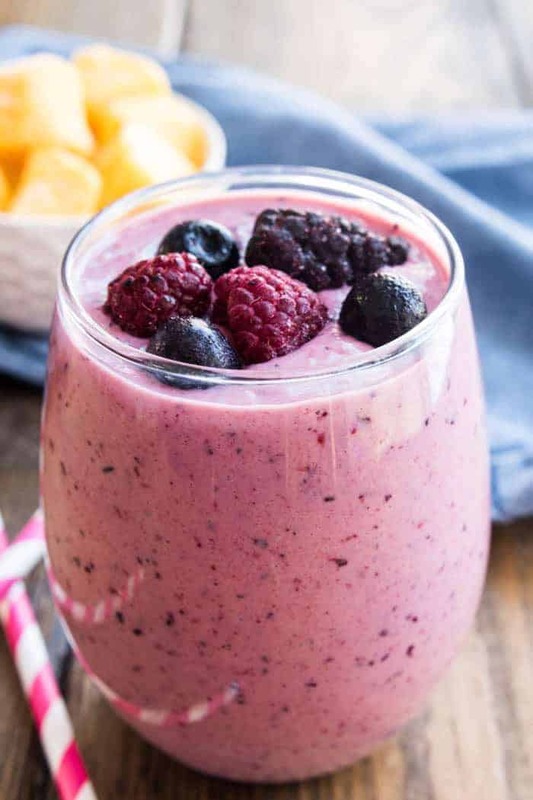 This next smoothie packs your body with six nutritious fruits in one cup plus the addition of other important and healthy nutrients for the body. This is the best smoothie to make in the morning to fill your day with the energy you need. Plus, it’s delicious! Place berries, pomegranate, spinach, kale and flaxseed into a sealable plastic bag and freeze overnight. When ready to make the smoothie, place the yogurt, acai juice and coconut water into blender. Add the frozen berries, pomegranate, bananas, spinach, kale and flaxseed to the blender. Blend all ingredients together starting on low, then increasing in speed until you get the desired mixture. Smoothies are a delicious and easy way to pack your body with all the nutrients it needs while still feeding your taste buds a delicious drink! Enjoy!